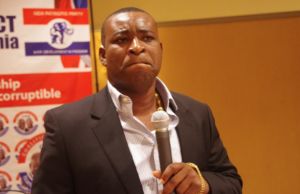 The Ashanti Regional Chairman of the opposition New Patriotic Party (NPP), Bernard Antwi Boasiako, aka Chairman Wontumi, says he has been marked for extinction by the ruling National Democratic Congress (NDC) before the November 7 elections. The Ashanti Regional NPP boss alleges that he was the subject of a secret meeting held last week in Accra by some leading members of the ruling party. 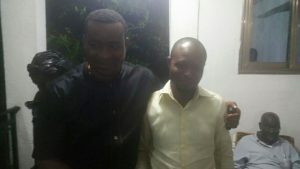 Chairman Wontumi says he now feels insecure, as he fears for his life in the run up to the elections. The NPP Chairman said already the party had engaged covert tactics by destroying his mining business and seizing his equipment worth over $4 million. Chairman Wontumi stated in an interview with The Chronicle that, but for the timely intervention of an insider, who alerted him of a plot by the NDC to plant cocaine in his car, the ruling party would have framed him up and later got him arrested as dealing in drugs. “The incident happened late last year during the arrest of some junkies in Kumasi; someone gave me a hint that around that same time they had planned to conceal some of the substance in my car, and later get me arrested as a dealer. 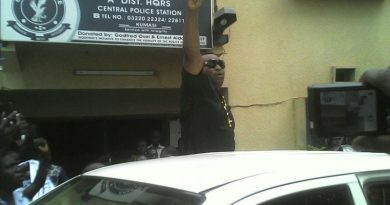 But, thank God, I exposed them by making it public that I was aware of their plans,” Chairman Wontumi alleged. The NPP Regional Chairman further alleged that he had evidence that the NDC would take advantage of the recent cordiality between NPP and head porters (popularly known as Kayayeis) in Kumasi, to import foreigners from neighbouring countries, masquerading as Kayayeis from northern Ghana to get them to register in the Ashanti Region, all in the name of pursuing their ‘One Million Votes’ agenda. The NPP Regional Chairman, however, said he was unperturbed about the scheming of the NDC, stressing that he will continue to work hard towards achieving the 80% votes for the NPP in the region.